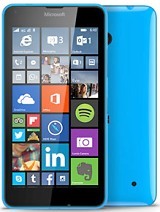 shubham Tiwari, 22 Jun 2014Hey frnds I was having dout in between nokia xl and lumia 630 suggest me which is better xl or... moreLumia 630 is a very nice phone.i bough it last month.highly recommend it! AnonD-226291, 24 Jun 2014:3 just go to settings > call filter and turn that offthanks! AnonD-276328, 23 Jun 2014Bro i cant hear voice of other person who is calling me as well as other person also can not ... moreGo to settings > call filter (a new feature) turn it off. AnonD-276328, 22 Jun 2014 I had an audio issue during incoming and outgoing calls. The solution which I get from the in... moreI am facing similar problem immediately after the purchase. Voice (volume) of calling person cannot be regulated (it remains high) though the displayed scale is changing. It is working in speaker mode and in case of media sound. I visited the local Nokia service center, they told me it is a s/w bug and to contact after one week. they may have a s/w update to resolve it. There is a another bug, I can't adjust the volume level during call. it doesn't meter 0 to 10, it always stay as high. Has anybody find a solution for that? Guys after so many hard reset for Audio issue, I've find a solution for that. when you have the problem then turn off your phone. remove all sim cards. then turn on again without sims then turn off the phone, put the sims and turn again. the problem will be gone. No need to hard reset. 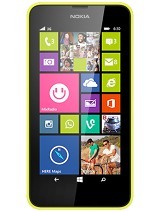 shubham Tiwari, 22 Jun 2014Hey frnds I was having dout in between nokia xl and lumia 630 suggest me which is better xl or... moreSince you did not mention your specific needs for the device you plan to buy, a quick difference is the size. If you are comfortable with big smartphones in your pocket, go for XL. If you need a front-facing camera, go for XL. I bought my Lumia 630 2 days back and I am very happy with it. 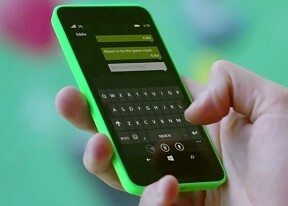 Why I chose Lumia 630 instead of XL? It has a quad-core snapdragon processor, built-in Windows 8.1, corning gorilla glass 3, a very decent 5MP camera with Nokia Camera App pre-loaded. 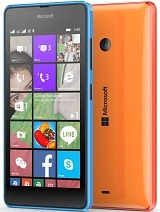 I feel it as a smaller & dual sim version of my Lumia 920. My favorite Nokia Maps runs perfect! MS Office runs perfect as well! Hi guys, i have purchased a lumia 630 and didn't get hands free with this device and other nokia hands free are not working with it. what should i do......?????????????????????????? ?